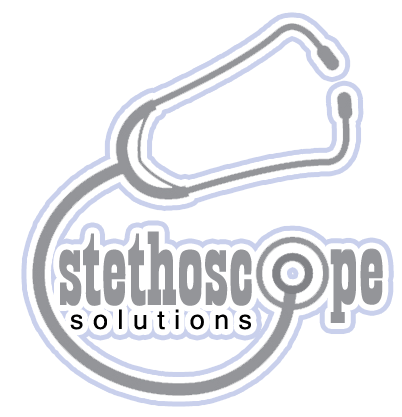 Stethoscopes are essential for those who work in the healthcare industry. Owning a functional, high-quality stethoscope is a must because it will help you make correct patient diagnoses. Because of the sheer number of options available in the market today, it can be a bit difficult choosing one, particularly if you are new in the industry or a med school student. However, you may want to consider MDF’s ProCardial ERA Dual Head Stethoscope for your needs. Excellent ergonomic design for comfort. Patented light aluminum dual head interchangeable chest piece. Non-chill ring to ensure patient’s comfort. Infant, pediatric and adult bells. Non-latex, non-stick dual PVC A2X acoustic tubing. Acoustic tube clasps made with chrome plated brass. 2 sets of ComfortSeal eartips. MDF’S ProCardial ERA stethoscope is one hardworking device, yet it feels comfortable and easy to carry around, which is important if you are going to wear the unit for the whole day. Even though the device feels light, it does not mean that it is prone to wear and tear. Being from MDF, you are guaranteed that what you are going to get is made from quality materials. This is a cardiology-specific stethoscope model, thus it is efficient when it comes to providing diagnosis for people with heart and blood vessel conditions. 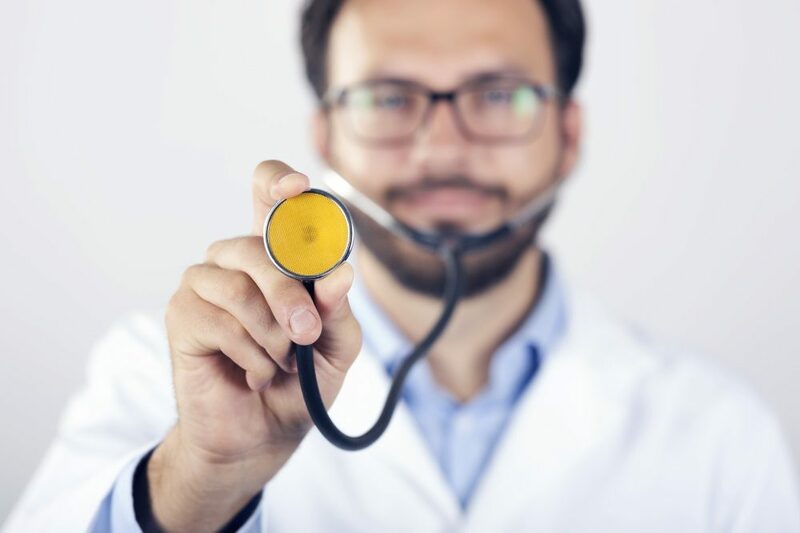 An ordinary stethoscope would not be able to do the job, but a unit made specifically for cardiologists will surely provide accurate readings. The unit can accommodate adults, children, and infants. It has 3 individual diaphragms and 3 bells meant for each age group mentioned. 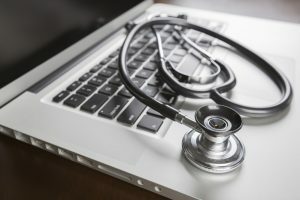 This means that users will actually be able to save their hard-earned cash, as they won’t have to rush out and buy another stethoscope meant for a particular age group. It makes for lesser load on your medical bags as well, since healthcare pros won’t have to juggle carrying more than one stethoscope with them. The active sound channel of the unit is signified by a green indicator, an appreciated feature – it can be challenging to perceive an active sound channel while utilizing the device. Users can focus on the sound where it originates so a proper diagnosis of the patient’s condition can be made. The chest piece of the model meanwhile includes a super-sensitive diaphragm, which offers an acoustic conduction of heart and lung resonances from 100Hz-1000Hz. It can even capture low frequencies from 20Hz down to 100Hz by means of the unit’s bells. A physician or nurse will be capable of detecting whether or not the patient has issues in his or her heart. The unit, even with its good points, did have some complaints from other users. For some customers, the tubing of the unit was a bit rigid, which can pose as a problem obviously since it will not allow flexibility over the course of medical check-ups. It can be pretty uncomfortable too if you have to wear a rather unyielding tube around your neck. 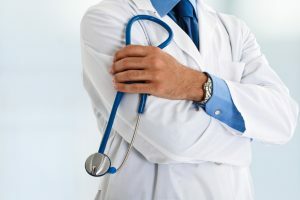 In addition, several med students and physicians who have used the stethoscope have had problems with the unit’s length. Although some did not mind the length of the unit, a number of individuals were not all right with this, since the longer tube can become a distraction at work. While this is a minor issue for some, the device only comes in one color, which is black. Many people do not mind the standard black tubing since it is understated and it goes well with other colors. 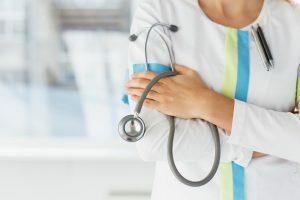 However for some who would love to add a dash of their personality in their profession by means of medical equipment, black can be limiting and boring. MDF’s ProCardial ERA stethoscope is one of the lightest in the business today, despite the initial setbacks of having a stiff tubing according to some users. It is durable, functional, user-friendly, and it can accommodate a variety of age groups among patients. Thus it provides plenty of value for your money. 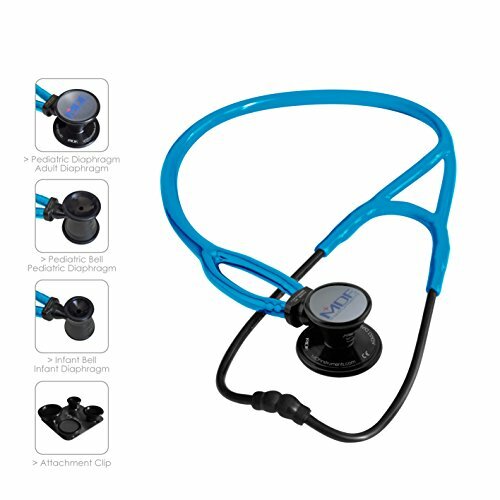 This particular unit is a good deal, so if you are looking for a cardiologist-level stethoscope, you don’t have to look any further – this one will meet your needs.